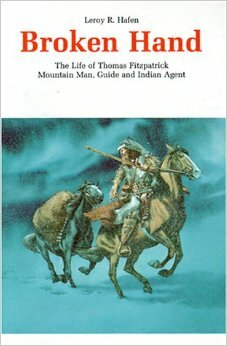 Known by the Indians as “Broken Hand”, Thomas Fitzpatrick was a trapper and a trailblazer who became the head of the Rocky Mountain Fur Company. With Jedediah Smith he led the trapper band that discovered South Pass; he then shepherded the first two emigrant wagon trains to Oregon, was official guide to Fremont on his longest expeditions, and guided Colonel Phil Kearny and his Dragoons along the westward trails to impress the Indians with howitzers and swords. Fitzpatrick negotiated the Fort Laramie treaty of 1851 at the largest council of Plains Indians ever assembled. Among the most colorful of Mountain Men, Fitzpatrick was also party to many of the most important events in the opening of the West. This entry was posted on August 24, 2015 by mmmuseum.